Founder & CEO of one of the world’s largest cancer charities, U.S. Ambassador, author – there are few things Nancy Brinker hasn’t accomplished. Brinker created the world-renowned Susan G. Komen for the Cure® organization after breast cancer claimed the life of her only sister. Since the foundation’s beginning almost 30 years ago, they’ve raised more than $1.5 billion for health accommodations, research and awareness with a network of more than 100,000 volunteers. A survivor of breast cancer herself, Brinker’s dedication has earned her countless accolades, including last year’s Presidential Medal of Freedom, the highest award a civilian can receive in America. Here, Brinker talks to PINK about her new book, running one of the biggest cancer charities in the world and the true meaning of success. PINK: How did your parents mentor you? NB: My mother was kind, wonderful, and affectionate. And my dad always believed that we could achieve anything as women, and that was very unusual when I was growing up in the 50s. He wanted us to be educated, wanted us to speak languages, and that was quite amazing. PINK: What is the best business advice you’ve ever received? PINK: How would you describe your leadership style? NB: I have a sense of humor. I am extremely intense, but I would never ask anyone who worked for me or with me to do anything I wouldn’t do. I have a strategic visionary style, and I hope an inspirational model that keeps people believing. PINK: How do you motivate your team? NB: With a cause. People will do almost anything for a cause, and it’s often not the same with a job. We don’t have jobs – we have a mission. It’s very important to me that people understand and believe and are part of where we are going and understand the hope we want to spread. PINK: Your husband once called you a “world champion networker.” How did you develop such great networking skills? NB: I always believed that, if you could connect with people, you could connect with a cause. I had to learn very early on that the only way I was going to be able to give this cause a face and make a change in our culture was through people: through what they did and through understanding who they were. 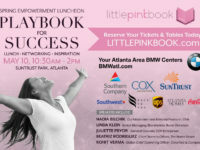 PINK: What made Susan G. Komen for the Cure one of the largest cancer charities? NB: A focused, dedicated, grassroots membership that works every day, largely as volunteers, because they believe we’re creating a world without breast cancer. And our stakeholders, our sponsors, our wonderful donors and the other people who believe in what we do. We’re making a difference and we have the outcomes to demonstrate that. PINK: What moment in the organization’s history has made you most proud? NB: Everything about this organization makes me proud. The Race for the Cure that we did in Egypt last year, when they painted the pyramids pink, and the Race we’re going to do in Jerusalem this year, those sorts of outreaches. It takes a lot of work and dedication. PINK: What was the hardest moment for you in running this organization and how did you overcome it? NB: I’ve been doing this for almost 30 years, so I have seen a lot of ups and downs. One of the most challenging things to do, as the leader of a nonprofit, is [to stay afloat] when the economy falls apart. You have to readjust. PINK: Your new book, Promise Me: How a Sister’s Love Launched the Global Movement to End Breast Cancer, seems to be your most personal. What was your goal when writing it? NB: My goal was to be personal. When I was asked to write a memoir, at first I said, “I thought only old people wrote memoirs.” But it was an opportunity to share my institutional knowledge in a real, personal account of my life and building this organization; to talk about the history of breast cancer and to show some of the stories of people who have inspired me most over the years. It was a really wonderful, sad and happy experience. PINK: What’s next for Susan G. Komen for the Cure? NB: We have our global alliance, so we’re working on growing globally and in countries where the most need occurs. We will be leading the way, as we have, in breast cancer research and community outreach and advocacy in the U.S. and other countries. We will be doing more things in cancer leadership. We are always evolving. That’s also a secret of a good organization. We are always evolving our leadership style, our programs and projects and reinventing them. This fall we will be celebrating the 30th anniversary of the Promise at the Kennedy Center. PINK: What’s one thing most people don’t know about you? NB: At the end of the day, I am a very simple person. I like simple things, simple food. I really love being with people and I love my family. I have a very complex life, but at the end of the day I love great time with great friends. And I love history and classic rock – from the 60s onward. PINK: How do you relax and rejuvenate yourself? NB: I have someone really special in my life that I don’t get to see often, and we’ve gone on some trips this summer to California, Europe and New Amsterdam. I also love being with my son [Eric, 35] and my mother. I’m often in other countries for work, so I also try to take a little time when I’m overseas to enjoy something for myself. PINK: What’s one personal goal you have yet to achieve? NB: I want to find more of a balance in my life. You have to prioritize things and realize that the world’s not going to end without you. NB: Success is when you feel so good about what you’ve done and who you are that you stop comparing yourself to other people. When you really feel grounded about who you are. There will always be someone more important, someone who is richer or more of a celebrity. The important thing is how you feel about yourself and what you’ve done. You’ve got to make your own yardstick and follow your own tightrope in life. Don’t measure yourself next to anybody else. 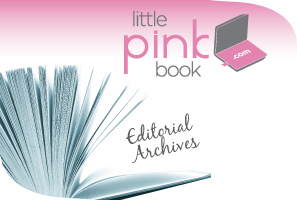 PINK: Any advice for our readers? NB: There’s not enough pink in the world. Until we cure breast cancer, there’s not enough pink. Get up every day, throw your legs over the side of the bed and do something you love that has a purpose and a cause and you’ll never work another day in your life.